Educating your children about global warming and climate change is a daunting task: families covered in snow during the winter months will be hard pressed to teach their kids that the earth’s temperature is warming while adding layer upon layer of snow caps, mittens, and boots to keep warm. No matter where you live, the gradual, slow change of climate can be hard to grasp for both children and adults. When one day’s temperature varies so little from the next, it might appear to the casual observer that nothing is changing, and that we can make little difference even if there was a problem at hand. My family comes from a pretty mixed political background, and for every mention of global warming, there seems to be another commenting on its hoax status. While it is true that the earth undergoes natural changes throughout time, science has never in its recorded history observed a more rapid recession of glaciers (and the polar ice caps). There is no need to bring politics into the discussion of climate change with your kids when they are at a young age. Although you likely have opinions one way or the other on Al Gore, parents should recognize and encourage their children to treat the earth with utmost respect and care, preserving it as best they can for generations to come. And do your best to not be apathetic to the cause, no matter your opinions on the subject. Teaching kids that small, manageable tasks are helpful to our earth is not in vain. 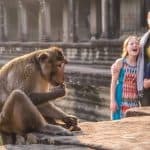 At best, you’ll be encouraging your children to become advocates for protecting our planet and true ambassadors to their generation, and at least, you’ll be teaching your child that what they do, both small actions and large, has effects on others, on the earth as a whole, and on society. It is really a win-win. The earth abounds with glaciers (the World Glacier Inventory accounts for and tracks over 130,000). There are plenty of glaciers that can be observed from a very far distance, but to an un-discerning eye, including most kids’, these glaciers will just look like a snow-capped mountains. The following glaciers, all located in North America, offer not just a glimpse at slowly moving ice on a mountain top, but an educational, up-close experience for the whole family. My family had the pleasure of visiting the Columbia Icefields in Jasper National Park this summer, and saying that we stood atop the Athabasca Glacier, part of the largest ice field in the Rocky Mountains, was one of my favorite travel experiences of all time. This glacier, the most accessible in North America, can easily be accessed via tour in a six-wheeled Ice Explorer vehicle that transports families directly onto the glacier for pictures, marveling, and tasting glacial water direct from the source during the summer months. Visit soon: many experts agree that this glacier will be gone within a generation. Where to learn about glaciers: Plan to spend a bit of extra time at the Columbia Icefield Discovery Centre before or after your tour to learn about glacial formation and climate change through the interpretive signs and exhibits. Kids can pick up a Jasper National Park Xplorer’s Book to learn about glaciers during the visit. 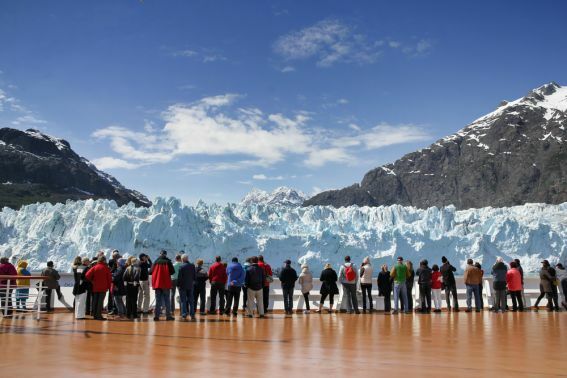 You’ll also learn a ton of information about the glaciers while on your bus tour. Best time to visit: June-September. The Columbia Icefield Discovery Centre, home to the glacier tours, is completely closed in the winter. Nearby: The area surrounding the Athabasca Glacier is ripe with glaciers. Within one day’s short drive, families can take a peak at the Crowfoot Glacier, Bow Glacier, Peyto Glacier, Hector Glacier, Wenkchemna Glacier (above Lake Moraine), and the Mount Victoria Glacier (above world-famous Lake Louise). The massive Matanuska Glacier is a short, two-hour day-trip from Anchorage by car. 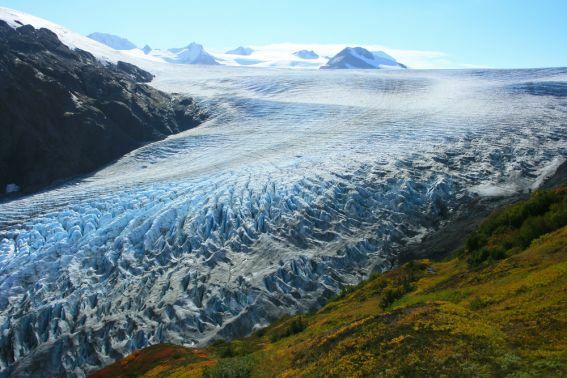 Over 27 miles long, families can access this glacier, the largest in Alaska accessible by car, by paying entrance into the privately owned Matanuska Glacier Park. 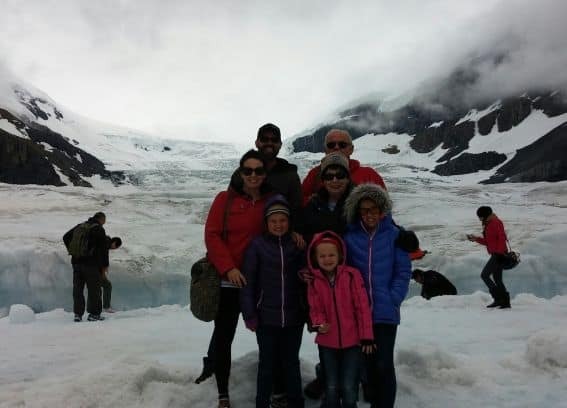 A variety of expert tour operators take adventuresome families onto the ice for glacier trekking; although hiking is allowed on the glacier without a guide, it is recommended that visitors stay with someone knowledgeable about the glacier for safety. Kids 5 and up (and their family) can enjoy a glacier float trip along the Matanuska River for an extra fun experience. 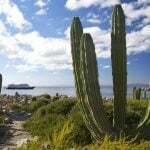 Best time to visit: Tour operators are typically open mid-May through September, weather dependent. 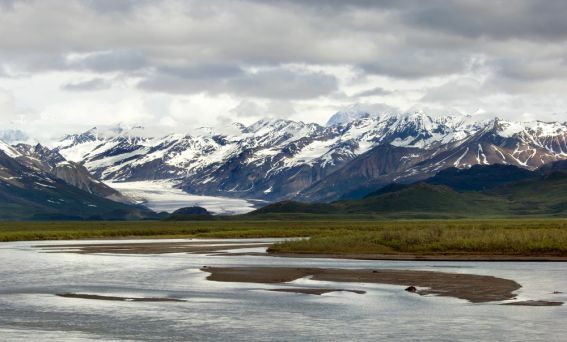 Nearby: The Matanuska Glacier State Recreational Site nearby does not offer direct glacier access, but does feature great hikes, float trips, and scenic camping opportunities. Located just outside of Juneau, the Mendenhall Glacier is likely Alaska’s most visited glacier; you’ll want to arrive early to avoid the crowds. Part of the Tongass National Forest, the Mendenhall glacier is just a short taxi ride, drive, or guided bus tour away from Juneau, and the 13-mile glacier that meets up in grand fashion with Mendenhall Lake, shouldn’t be missed. Trekaroo families recommend the easy trail to Nugget Falls that provides excellent views of the glacier coupled with the chance to see a beautiful waterfall, with many icebergs to count along the hike. 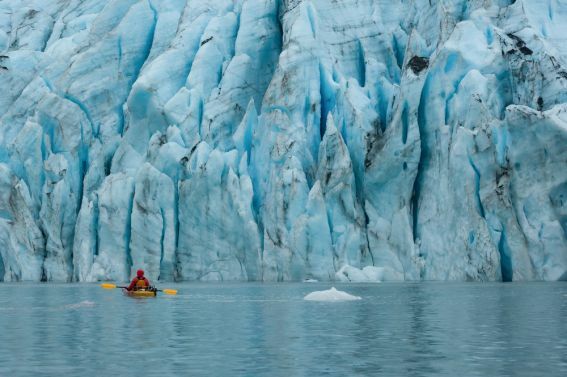 Float trips and kayaking allow for glacial exploration by water. Note: numerous ice caves exist along the shore, but families are strongly urged to stay away as they can be very dangerous. Where to learn about glaciers: The Mendenhall Glacier Visitor Center features state-of-the-art exhibits, USDA Forest Service Rangers, a 15-minute film about glaciers, and a fantastic bookstore. The Trail of Time Interpretive Walk teaches families about the glacier’s recession during a 1/2 mile paved journey. When to visit: The Mendenhall glacier is open year-round, although the lake and nearby waterfalls do freeze during the winter months. Kenai Fjords National Park, Alaska, U.S.A.
Just a short drive from Seward, a common cruise docking location, sits Exit Glacier, one of the most popular in the state, part of Kenai Fjords National Park, home to over 40 glaciers. Interpretive signs and self-guided tours help families explore the Exit Glacier, with an easy one-mile accessible loop trail to the glacier viewpoint from the visitor center. Families can continue on to the Edge of the Glacier trail for the an up-close look at the ice. Note: the Harding Icefield Trail is a strenuous, 8 mile hike that requires special gear, packed food, water, and experience. If you want the top-of-the-trail view without the hard work, consider taking a flyover tour. 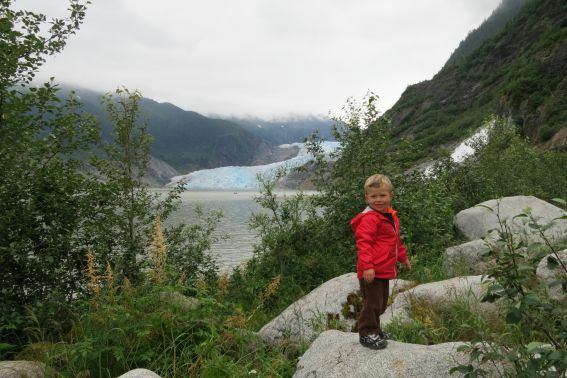 Where to learn about glaciers: The park visitor center (located in Seward) and the Exit Glacier Nature Center both offer a wealth of information, ranger programs, guided hike information, and the park’s Junior Ranger program (for kids 4-12). 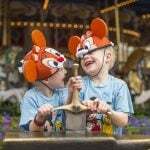 Best time to visit: May-September, although the park officially remains open year-round (with limited services). Glacier Bay National Park, Alaska, U.S.A.
Glacier Bay National Park, a frequent Alaskan cruise favorite, can be explored by families on foot via numerous hiking trails, by chartered tour or private boat, by kayak for the active and adventurous, or while aboard one of the many cruise ships that traverse the fjords in this bay. With more than 50 named glaciers in the park, getting an up-close experience is not a complicated task. Seven tidewater glaciers, those that meet the sea and frequently break off or “calve” into the water below, are some of the most sought after and spectacular to see in person. Popular glaciers include the Margerie glacier, with frequent calving, Johns Hopkins glacier, with massive calving that requires a great deal of distance to view, Reid glacier, and Lamplugh glacier. 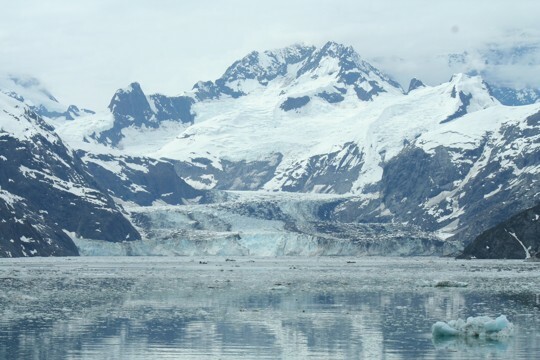 Where to learn more about glaciers: If you are visiting the park on a cruise ship, a park ranger will have a station set up where families can learn more, hear naturalist talks, and explore a variety of hands-on exhibits. If arriving on your own, don’t miss exploring the park’s visitor center with interactive exhibits showcasing the history of the glaciers in the park, as well as talks and guided hikes led by the rangers. Junior Ranger programs (and a PeeWee Ranger program for kids 2-6) are offered at the visitor center and on many cruise ships. When to visit: Park visitor centers (and the majority of Alaskan cruises), operate late May to September. Glacier National Park, Montana, U.S.A. Although the park boasted nearly 150 glaciers when it was named in 1910, glaciers in Glacier National Park may soon be only a faint, rugged shaped memory from the past. With less than 25 glaciers left in the park today, your family should visit soon as most glaciers will be gone within a few short years, all by 2030 if projections continue. Most of the glaciers in the park are only accessible to families from a distance. A variety of hikes can take hearty and adventuresome families up closer to the glaciers (horseback riding trails are also available). The majority of families will spot glaciers in the park while taking the “Going to the Sun Road” up to Logan’s Pass from West Glacier, or closer up, at Many Glacier, located north of St. Mary on the park’s east side. Day hikes from the charming lodge at Many Glacier get families up-close-and-personal to the receding Grinnell Glacier. Where to learn about glaciers: The Junior Ranger Program, available from all ranger stations, is a must-complete for kids hoping to learn about glaciers and climate change. The St. Mary visitor center on the eastern side of the park boasts the most hands-on learning for kids on the topic. Best time to visit: June-September. The “Going to the Sun” Road that leads to the breathtaking views at Logan’s Pass often does not open until nearly July. Read our tips on visiting Glacier National Park with kids. Prepare for a climate change. Temperatures on or near glaciers are typically as you would expect: cold. Dress in layers, even in the summer months. Bring proper eye & sun wear. If you plan on ascending the glacier or nearing it, be sure to bring sunglasses to cover your eyes. The very reflective glaciers and be very hard on skin and eyes. Glaciers are dangerous! Tourists and adventurers die every year traversing glaciers. Families shouldn’t hike on, touch, or go near glaciers unless directed to do so by qualified staff who have approved the conditions. Follow all posted signage and warnings to stay safe. While visiting glaciers and studying about the effects of climate change, be sure to give your kids the chance to make changes that positively impact our planet. Encourage children to take steps toward helping our earth fight against the negative effects of global warming. A detailed list of action items can be found at NASA’s Climate Kids website, but here are a few recommended activities that decrease our CO2 emissions, cut back on waste, and help planet earth. Conserve water. Teach kids to turn off the water while brushing their teeth, and keep showers to less than five minutes. Use less energy. Kids can learn to unplug electronic devices, turn off the lights before leaving a room, and keeping power-draining devices (such as computers) turned off or in energy-saving modes. Plant trees. 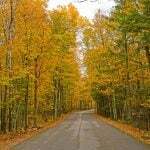 Help offset greenhouse gas emissions with the planting of trees and plants. If you can’t make it to a glacier in the foreseeable future, consider checking out the resources at a museum or library near you. Traveling exhibits on climate change dot the country at various times, and a few US museums feature permanent exhibits on the topic including the Marian Koshland Science Museum in Washington, D.C. This museum boasts an expansive Earth Lab with interactive and video features that teach kids about climate change and global warming. In California, at the Birch Aquarium at Scripps Institute for Oceanography, kids can experience the award-winning “Feel the Heat: The Climate Challenge” interactive exhibit, based on the group’s oceanography research compiled throughout the 20th century. 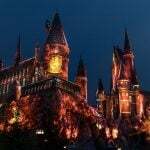 Sadly, due to a variety of factors including pressures from political groups and funding, outside of these two museums, there are few permanent exhibits in the United States. The world’s only climate change museum is located in Hong Kong. Numerous European science museums boast expansive exhibits and interactive programs, such as London’s The Science Museum. The Climate Museum, a first-of-its-kind “unnatural history” museum, is planned to open in New York and is currently undergoing funding. 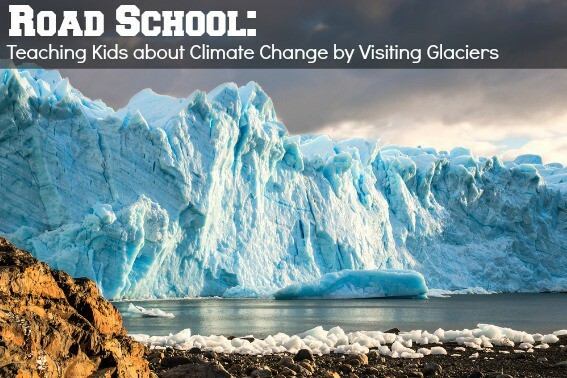 Explore the following resources for teaching your kids about glaciers and climate change. Our Pinterest board is a fantastic resource, or feel free to explore the Amazon links below.